outstanding U.S. airmen shaped the central air campaigns in American history. From Gen. Carl “Tooey” Spaatz, who began his career in World War I, to the recently retired Gen. T. Michael “Buzz” Moseley, the case studies illuminate the character of these airmen, the challenges they confronted in widely disparate armed conflicts, and the solutions that they crafted and implemented. Their achievements proved decisive not only in the campaigns they led, but also in shaping the U.S. Air Force and the dominant role of airpower in modern warfare. 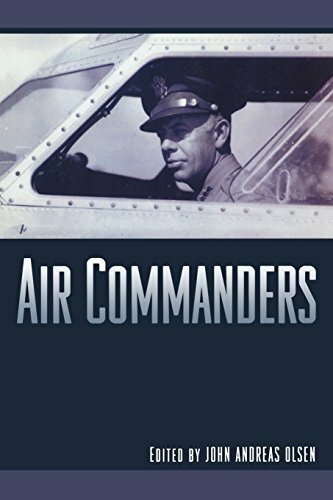 Air Commanders will be of interest to both general readers and students of military history?particularly those who wish to explore the use and development of airpower as a national instrument of force. With contributions from leading military experts and historians, this book demonstrates how personal qualities and leadership styles translate into battlespace outcomes.